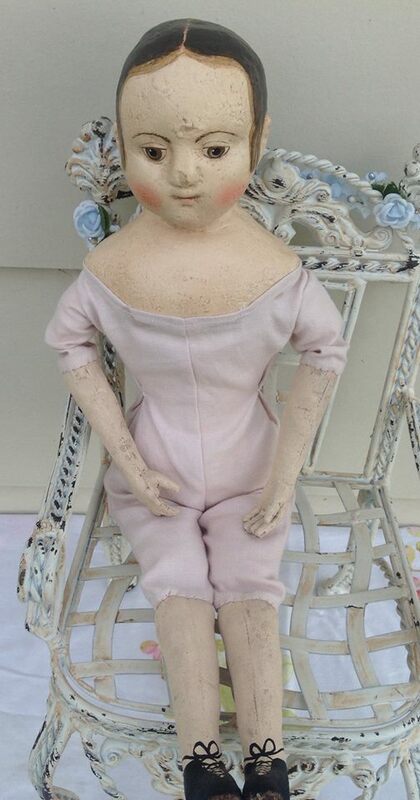 "Patience" an 18" Izannah Walker doll, is made from the mold taken from the original antique Izannah Walker doll, from the 1800s, named Patience. 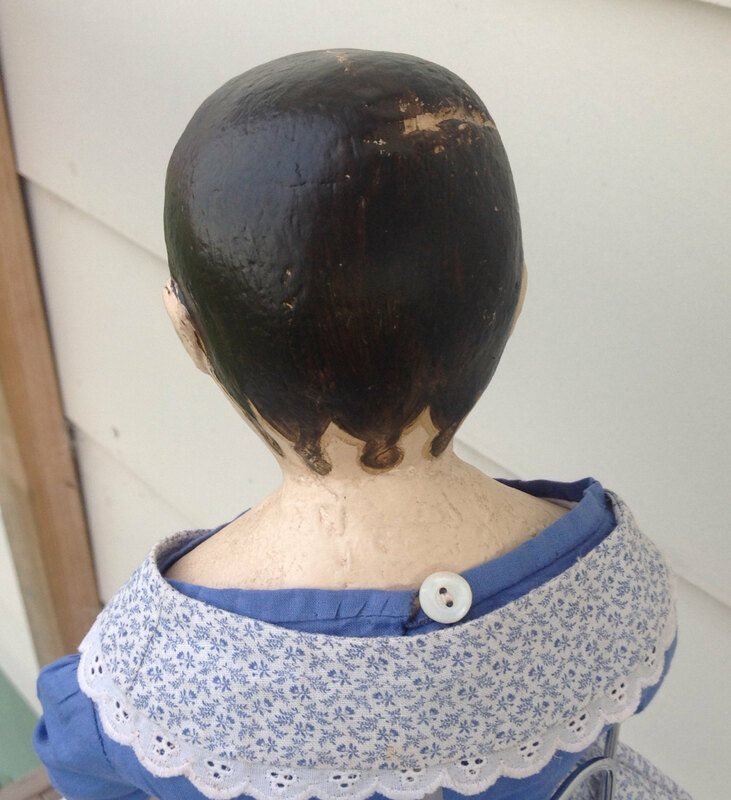 She has a composition head and shoulders. 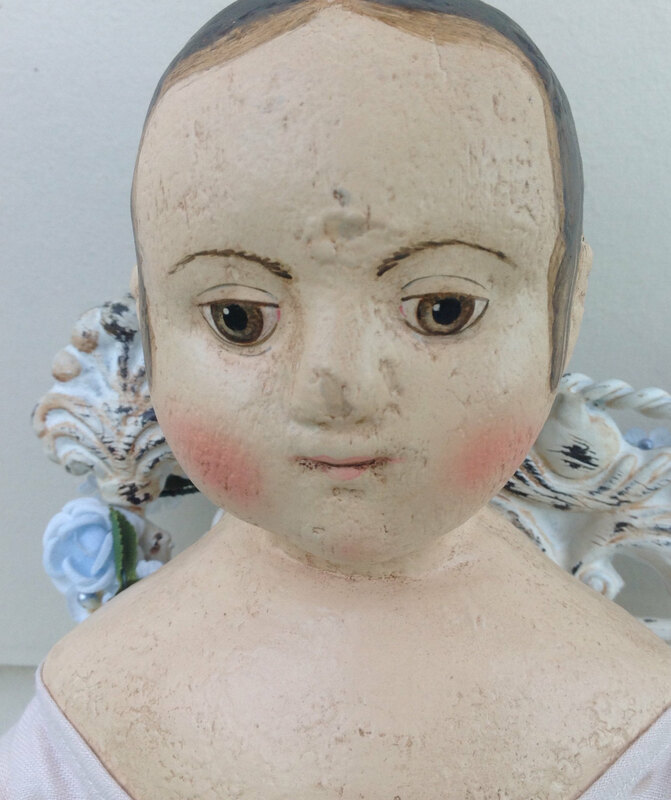 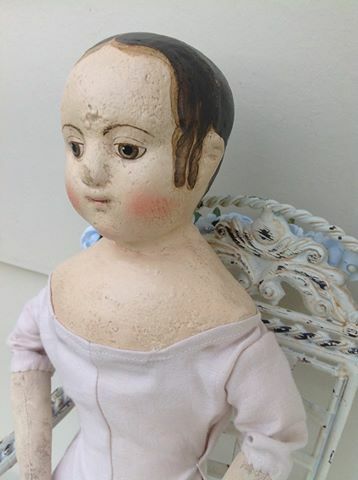 I carefully paint and give these dolls a nice antique look. The bodies are made from cotton fabric and stuffed as the originals were, with cotton stuffing. I have also painted and aged the arms and legs, to look just like their antique sisters. 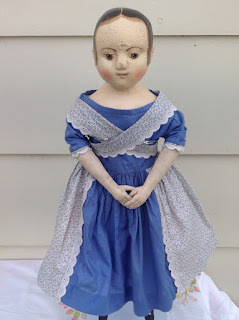 She's 18" tall and dressed in a pretty outfit that I have machine and hand sewn from vintage and antique cotton clothing and fabric. 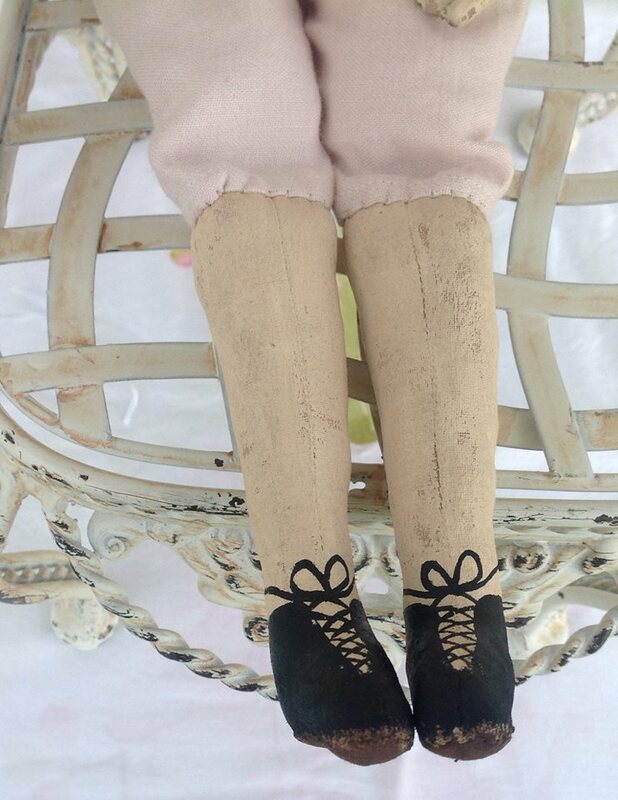 All the clothing is removable and has hand sewn button/buttonhole or loop fastenings. 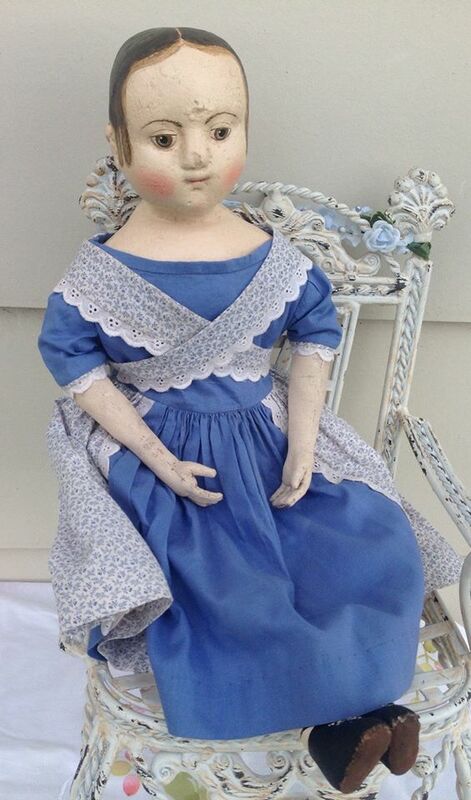 She has a slightly aged look. I have given her very Izannah Walker doll hairstyle with ringlets sides and back. 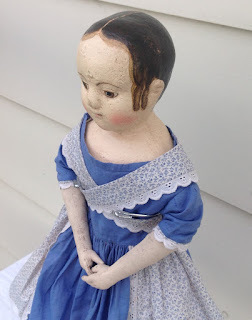 She has a second skin, dress, chemise, undies and petticoat. If you have any questions or would like to buy her please use the email link on the right hand side of this page. Or you can purchase her from my Etsy Shop.